The North American Car and Truck of the Year awards have become one of the biggest awards to impact the consumer market along with the Motor Trend ‘of the year’ awards and on the truck/SUV side, the Motor Trend Truck of the Year winning 2013 Ram 1500 is joined by the Mazda CX5 and the Ford C-Max Hybrid. Now, I totally get why sport utility vehicles are included under “truck of the year” but I think that calling the Ford C-Max and SUV is a bit of a stretch. While I am certainly not questioning how good of a vehicle the new C-Max is, including this hybrid in the Truck of the Year voting further hazes the line between car and truck in terms of award considerations. The Mazda CX5 is also a tough competitor for 2013 Ram 1500 so regardless of whether or not the Ford C-Max belongs in the truck voting – the Ram will have to beat two very good vehicles to win its second major award. Over in the Car of the Year category, the jurors have selected the 2013 Cadillac ATS, the 2013 Ford Fusion and the 2013 Honda Accord. The Cadillac ATS and Ford Fusion are both incredible cars with the Fusion working to revolutionize the midsized sedan segment and the ATS gives the Cadillac brand its best chance to compete in the compact segment in ages. The Honda Accord is an excellent vehicle but should it win the 2013 North American Car of the Year award, it will be a huge shock…not because the Accord isnt worthy of winning but because the other two cars are so much better. Heck the simple fact that the Fusion and Accord compete in the same segment – and seeing the difference between these two side by side – the Fusion beats the Accord so it should really come down to the new Fusion and the new compact Caddy. All three of these cars could use the boost of being the 2013 North American Car of the Year as they are all the types of vehicle that are purchased by consumers who buy a car because it wins an award like this one. 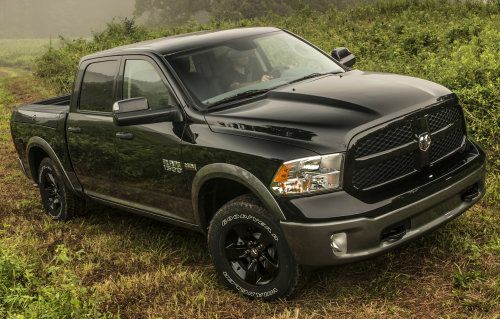 My prediction is that the 2013 Ram 1500 will pull down its second major award in the truck category and the Cadillac ATS will take home the car award…or at least those would be my choices out of those two groups. Mind you, I am not on the jury for the NACTOY awards and it would not be that big of a surprise if the C-Max and Accord win – as the North American Car and Truck of the Year awards have a way of being controversial. In any case, the 2013 NACTOY awards will be big news and they could be even bigger news if Ford Motor Company can take home both the car and truck awards with their super efficient models. Wouldn’t that be romantic? For the two vehicles stirring the fuel economy controversy at the moment to take home two of the biggest awards in the American auto industry? The 2013 North American Car and Truck of the Year winners will be announced at the 2013 North American International Auto Show in Detroit’s Cobo Hall on January 14th 2013.